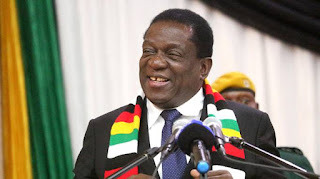 Zimbabwe’s economy is on a recovery path, with the target of becoming a middle income economy by 2030 set to be achieved, President Mnangagwa has said. The President said this in a speech read on his behalf by Zanu-PF Secretary for Finance Cde Patrick Chinamasa at the inaugural India Diaspora Convention yesterday. “The country is on a path to economic recovery,” he said. “We have set ourselves a shared, ambitious yet achievable vision of becoming a middle income economy by 2030. President Mnangagwa said Zimbabwe and India had strong historical and cultural relations, with the Indian community contributing to the country’s development. “Indeed, that respect is grounded in the immense contribution and cooperation that this community has made over the years to this country in business, in politics, in diplomacy, in health, in academia and in many other walks of life,” he said. The President said India was a potential market for Zimbabwe’s goods and a source of investment. President Mnangagwa thanked Indian companies that have invested in Zimbabwe, adding that vast opportunities were there in the health sector. “On the health sector, it is not a secret that Indian medical and pharmaceutical companies have made a huge impact on the African market by providing access to life-saving drugs at affordable prices,” he said. President Mnangagwa thanked the Indian government for providing a grant for the construction of the India-Africa Incubation Centre that he recently commissioned. The centre provides training in entrepreneurship in various areas that include plastic bottle manufacturing, cell phone assembly, paper and diaper manufacturing. President Mnangagwa said Government was working on improving the investment climate as espoused in the Transitional Stabilisation Programme. “We are also intensifying efforts to address the ease of doing business in Zimbabwe by addressing regulatory bottlenecks and streamlining bureaucratic processes that have been impeding business,” he said. “In this regard, we have established the Zimbabwe Investment and Development Authority, which is a one stop centre for investment facilitation. President Mnangagwa urged the Indian Diaspora to continue playing a positive role in the country’s economy. Indian ambassador to Zimbabwe Mr Rungsung Masakui said the two countries shared a long history dating back to pre-colonial times. “India and Zimbabwe are connected by a shared history, language, culture and people to people relations,” he said. “Before colonialists came to our respective countries we were already engaged in trade in items that include gold, metals and fabrics.